Vicostone has been added to our counter top lineup! What is Vicostone? 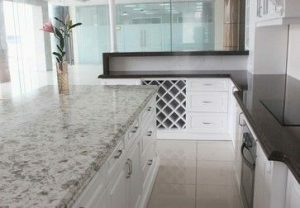 Manufactured quartz based stone countertops. Beautifully designed with the latest technology, Vicostone offers the same look and design qualities as Cambria at a fraction of the cost. With their global distribution network, Vicostone is now available in all continents and highly recommended by interior designers and architects. It offers scratch, heat, impact and corrosive resistance, certification by NSF which makes it especially safe in food service applications, it’s stain resistant and can be cleaned easily with soap and water. All this at an affordable price. CBL is especially excited to be able to offer this great new product. Please visit our store or call for details!